In a world that seems increasingly ruled by phones, laptops, and tablets, it’s nice to still see young children enjoying the great outdoors. 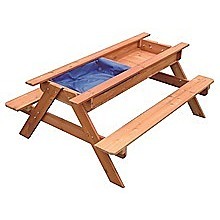 Our Sand & Water Wooden Picnic Table is ideal for doing just that. 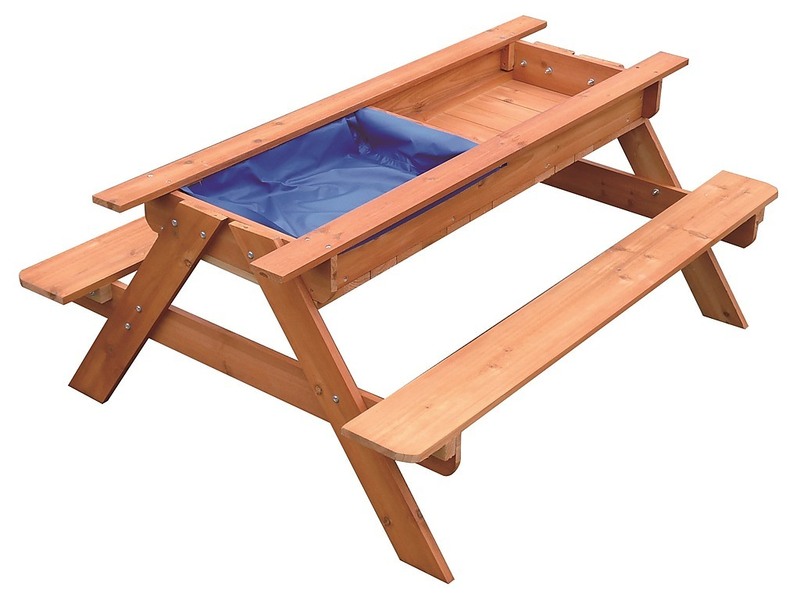 This versatile toy comes in the form of a traditional wooden picnic bench. Although it may look unassuming, the centre wooden panel lifts up to reveal a sandpit and water chamber. They can be used together or separately for hours of messy fun in the sun. The table is an ideal solution for homes with smaller gardens, and is constructed from sustainably sourced, FSC® certified timber.